Many of us have trouble accepting compliments. We have the urge to deflect or downgrade the compliments. We do not realize that our actions draw unwanted attention. We unnecessarily belittle ourselves, as well as the people offering the compliments. People may consider our “I don’t deserve your compliments” attitudes as signs of personal insecurity or false modesty. By failing to honor the opinions of others, we discourage them from offering affirmative feedback. 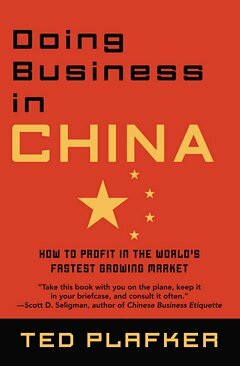 The Economist's Beijing-correspondent Ted Plafker on the challenges of entering the Chinese market, conducting business in China, and not falling flat on your face.